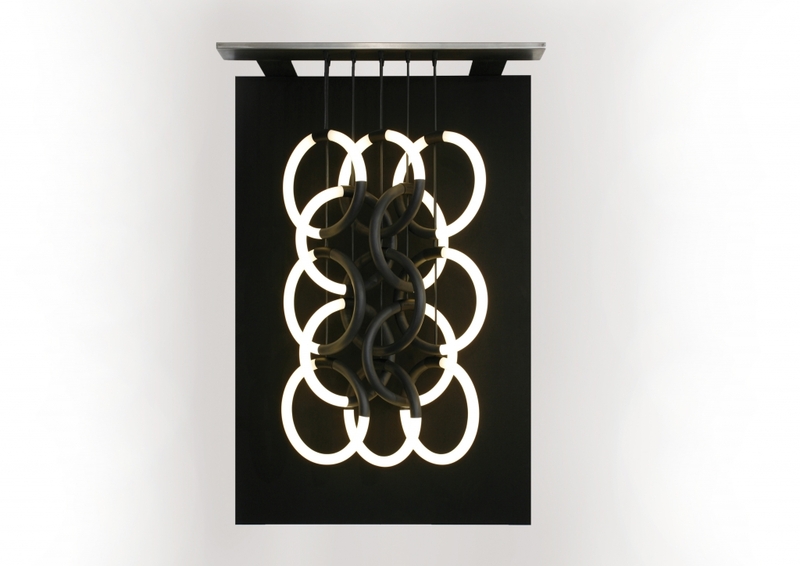 This light sculpture is a composition of interlinked circle lights and a black painted canvas. Each light is programmed to subtly light up in a sequence, creating various patterns and movements; it creates the rhythm of breathing. The glass round circle lights are fluorescent lights that are intertwined like the medieval chain mail. A chain mail protects the heart of a person. By creating this chain mail from glass and making it breathe, the chain mail itself becomes the personification of the vulnerable human being. The glass tubes become vessels so to speak.